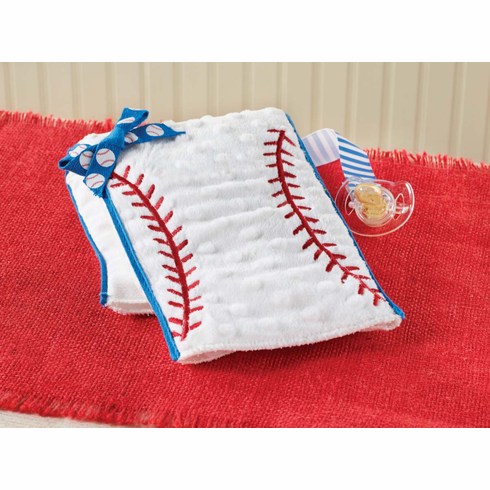 Cotton waffle weave burp has soft minky center and baseball stitching applique. Measures appx. 17" x 11".